Great location in gated Pelham Springs community. Quick access to downtown, Haywood Mall and I-85. Within 5 min walking distance of Pelham Commons which included Publix supermarket, restaurants and shops. Gated community with pool. 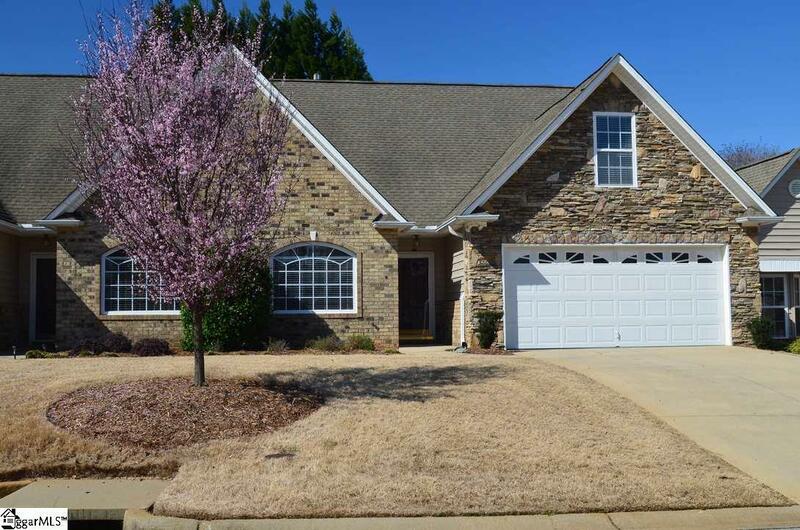 Three (3) bedroom 2 1/2 bath open floor plan in great condition. Walk-in laundry room and Master bath on first floor. Master bath includes walk-in closet. Stereo intercom system. Partially finished 225 ft2 shop on 2 level. Shop includes two (2) built-in-place workbenches, sink with hot and cold water, lights, electrical outlets and heating and cooling supply. Shop area also includes a finished 4 x 7 1/2 music room with acoustical insulation, heating and cooling supply, light and electrical outlet. Listing provided courtesy of John Tate of Keller Williams Greenville Cen.